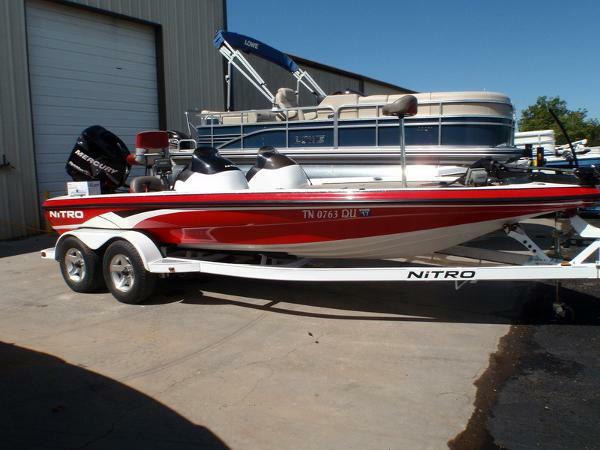 2007 Nitro 898 DC 2007 Nitro 898 DC 20'4" Dual console, Silver with black and red stripes, matching bench seat and grey carpet. 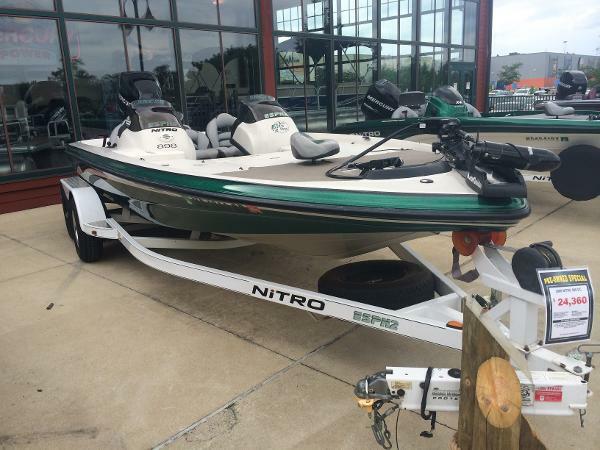 Equipped with Tilt wheel, hot foot, hydraulic steering, Motor Guide Digital Variable speed touring trolling motor and dual bank charger. Mercury 225hp Opimax, serviced with cleaned injectors, new water pump impeller and lower unit grease. Starts and runs great. New decals - not an Pro XS - just the decals. Nice Tracker tandem trailer with new tires and wheels, brakes and swing away tongue. Nice clean boat! 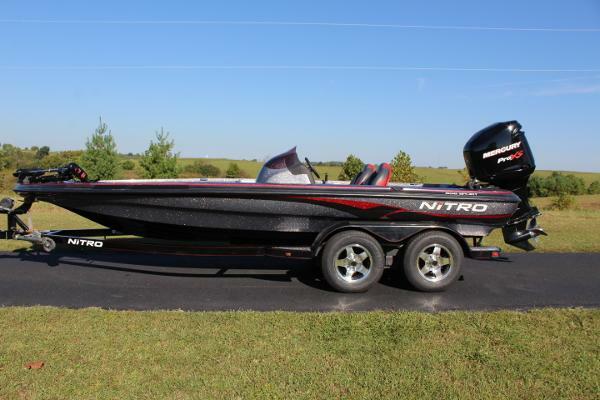 Length is 20'4" beam is 7'7" fuel tank is 50 gallon and person capacity is 4.